Flower-up to power up your life! The rain, although many times relaxing also makes my world a little grey, and no, not the best-selling ladyporn trilogy but the overall look of the environment. With my window facing the morning sun, I normally have a lovely beam of light gracefully sliding into my room, which makes for an often delightful morning. Perfect for getting me in the mood for the rest of the day. Now, with typhoon X,Y,Z upon us I find that even with happy interiors and artificial illumination, nothing truly brightens up a room the way the sun can. So what to do when the weather won’t cooperate with your emotional aesthetic? Create your own brights and lights with flowers. I’ve never really been a flower-fan, although pretty, I don’t think I’ve got a green thumb and have not ventured past anything more than actual houseplants as they seem way easier to care for. The farthest I’ve got was getting an airplant. They weren’t the best-looking, but they added some color and were virtually independent of anything save for a little spritz of water now and then. Several months ago I reconnected with a former boss of mine, from the time that I rekindled an old love for travel photography. She was editor of a new travel magazine and gave me a chance, I even got to go to Malaysia because of her. We had both moved on to other fields of interests after many many years and I was curious about her newest endeavor, her self-titled “Personal Florist” career. So, former Editor-in-Chief now turned Personal Florist, Myra Puyat-Santiago, was going to be my entry into a floral adventure. My house needed some cheering up from all this rain and wetness so I pretty much whined to her for help. I also felt, it was about time I graduated to taking care of something that would need a lot more TLC and that what I was normally used to giving something that pretty much just sat around all day long. Patiently, Santiago walked me through several suggestions and delivered right to my door steps two beautiful finds. A deep violet orchid plant with lots of little buds ready to burst forth, and, a bunch of lilies surrounded by lush leaves. I fell in love but also freaked out a bit, thinking that I had bit off a little more than I could chew. With more guidance and patient answering of my panicky texts, or calls, Santiago has held my now growing-green hand in caring for these plants. So far, they’re still alive, although there have been some close calls…I’m giving myself another month before I take a pic of them, just to prove to myself that I can keep them growing and green-glowing. 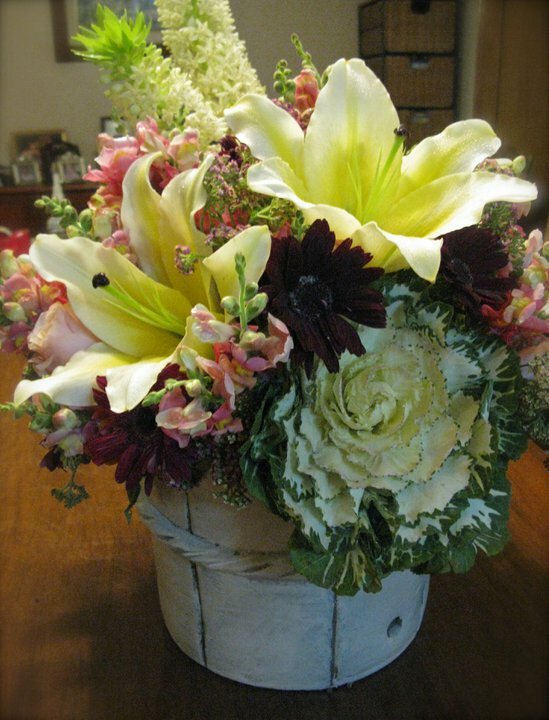 Do you consider yourself a florist? Or the rather kitschy-termed Floral Architect? MPS: I call myself a Personal Florist. I’ve always loved flowers and have many memories as a young girl, picking flowers, arranging them in vases around the house. My aunt owned Petals and Twigs, the de rigeur florist of the 80’s, so maybe this also had an influence? My other Puyat cousins own King Louis, florist/flower farms in Baguio. Another family influence, so perhaps it’s in the blood too? But the concrete beginning of the business was eight years ago. I joined the Salcedo Community Market when it was just beginning and I’ve never looked back. For several years, it was my weekend-only “job” since I was working full-time in publishing. After my husband passed away, I started thinking of making it my full-time job. It took me more than two years before I had the courage to quit everything else. For the green uninitiated what would be a great starter plant or arrangement? MPS: Flowering plants are a great beginning if the flowers are for yourself. It’s also how to find out if you have a green or black thumb, haha. If the plant dies quickly, then I just suggest cut flowers. 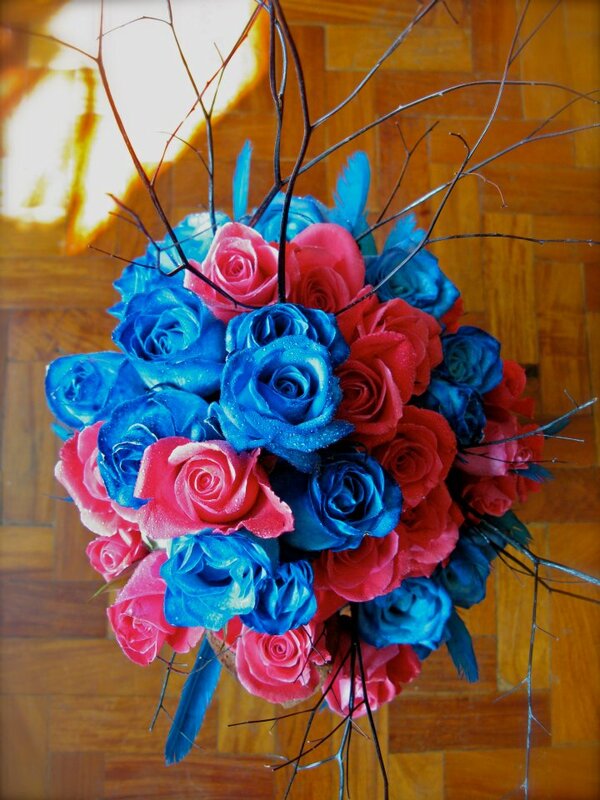 For gifts, my default suggestion is multi-colored organic roses from Bukidnon (Php 1,500 for three dozen in three colors, free delivery in Metro Manila except Alabang, haha. I charge toll. My supplier and I have been partners for almost seven years and I really love the flowers they grow at their biodynamic farm. Plugging: They also have a business arm for their organic vegetables, grassed beef and pastured pork: www.downtoearth.ph. 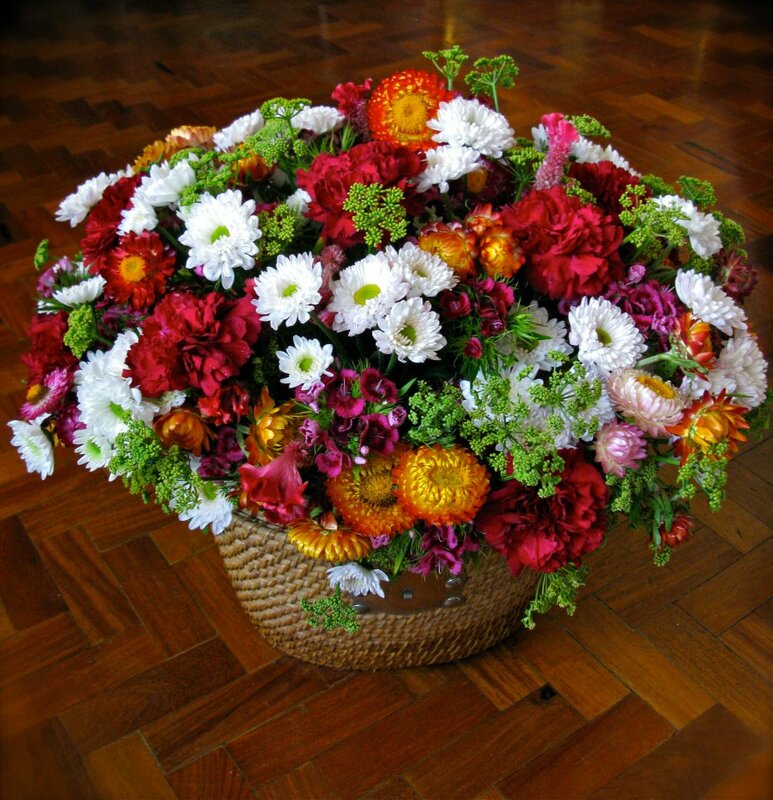 Do you think having flowers uplifts one’s energies or moods? MPS: I absolutely believe that my work sustains my positive energy. There are times when I have to work three days straight without sleep but I never, ever feel bad about it. I get tired, my muscles hurt, but I do not get cranky or grumpy when I’m working. I love what I do and what’s that saying? Love what you do and you’ll never work a day in your life? That’s how I feel about it. How should one care for an arrangement or plant to make it last and bloom for a longer period of time? MPS: Every plant has different needs and I will give you specific instructions for care. 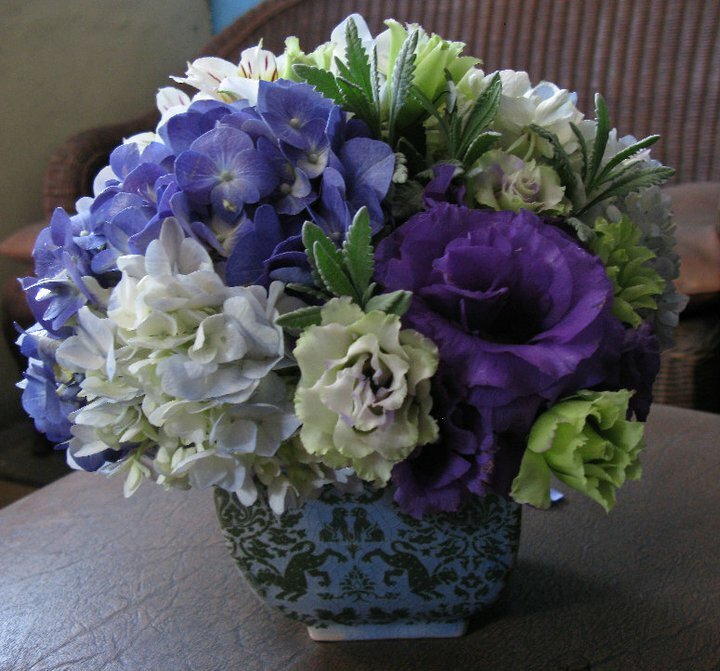 For cut flowers in vases, change the water every other day to minimize decay. 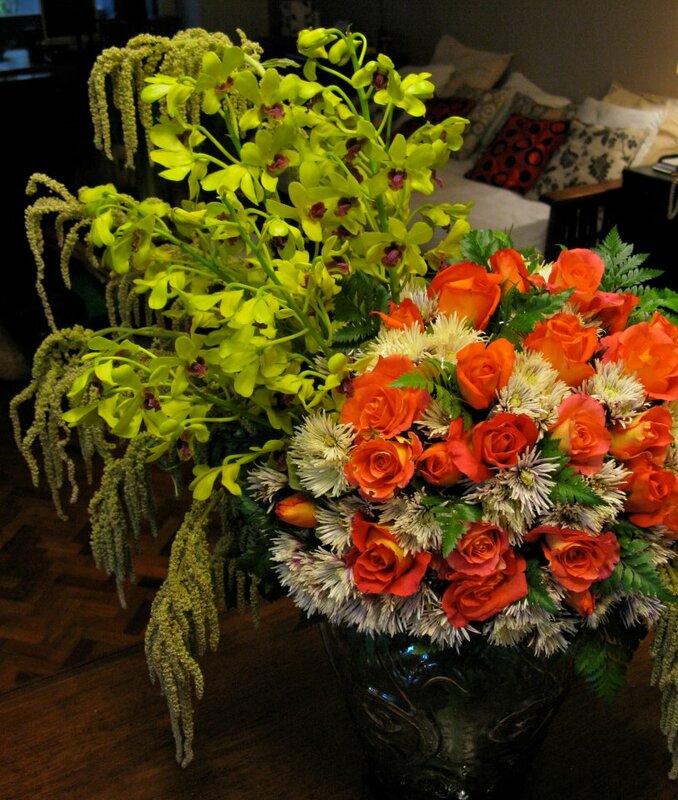 Do not overfill the vase with water because it’s really only the bottom of the stems that need water. This will also delay decay. 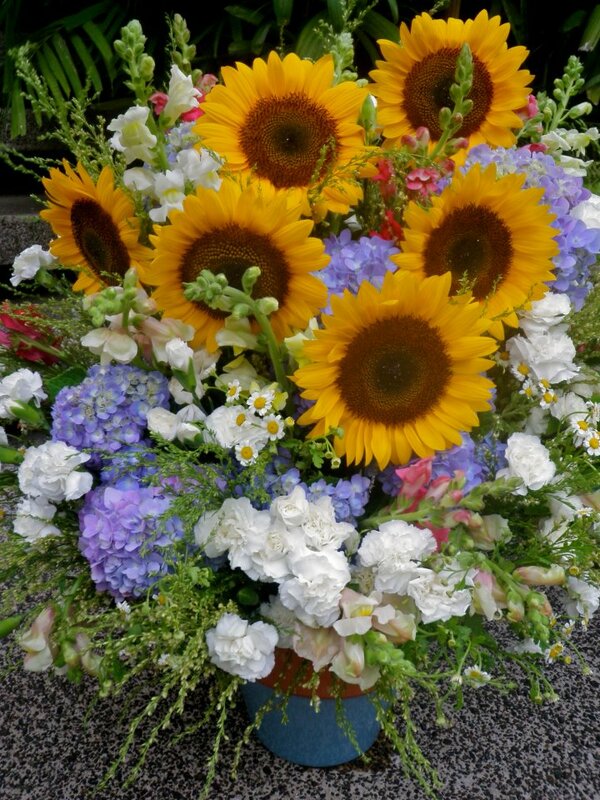 For arrangements, daily water at the base of the flowers. Do not water from the top because it can bruise delicate flowers or cause them to fall prematurely. A light spray is good through, especially for water-loving flowers like hydrangeas/milflores. 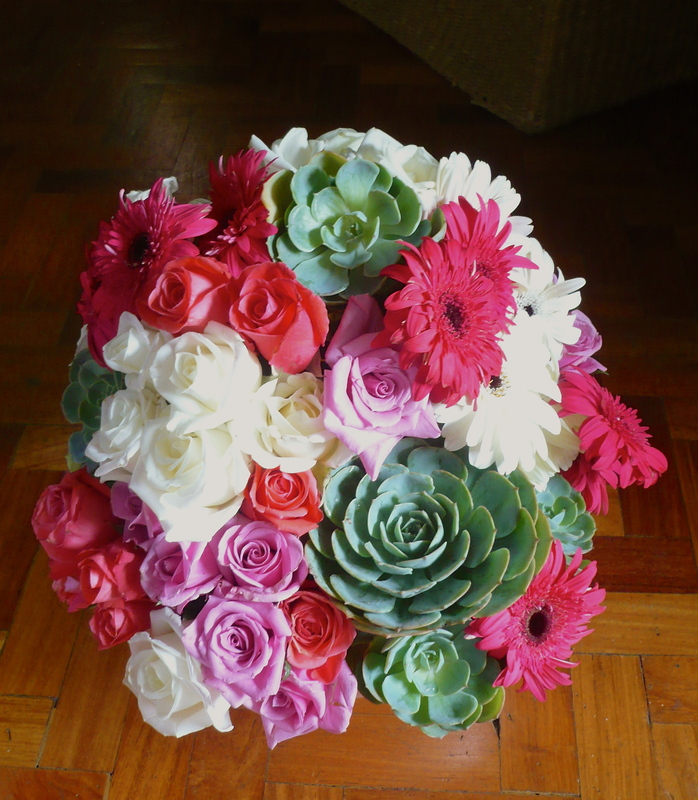 Any misconceptions about flower bouquets, arrangements? MPS: Yes! It’s not as expensive as you think to have fresh flowers at home. Just talk to me, tell me what you have in mind, and we’ll work out something within your budget. Also, more people than you realize have never received flowers. A gift of flowers doesn’t have to be romantic and it never fails to make the recipient smile. I once sent flowers to a lady at her office, from a male co-worker who was a friend. I got feedback that she cried because she (a woman in her 30’s) had never received flowers before. She was so surprised and happy, and that’s why I love my work. If you have a budget in mind please remember that everything is highly dependent on time of the year, availability, and price. I can adjust prices higher or lower, and I can also upgrade or downgrade the vessels. In general, I start at 1.5k. The average price is between 2-3k. Higher end goes up to 5k. I also do “groups”, like a variety of small arrangements for a total price. This is ideal for small events or dinners. 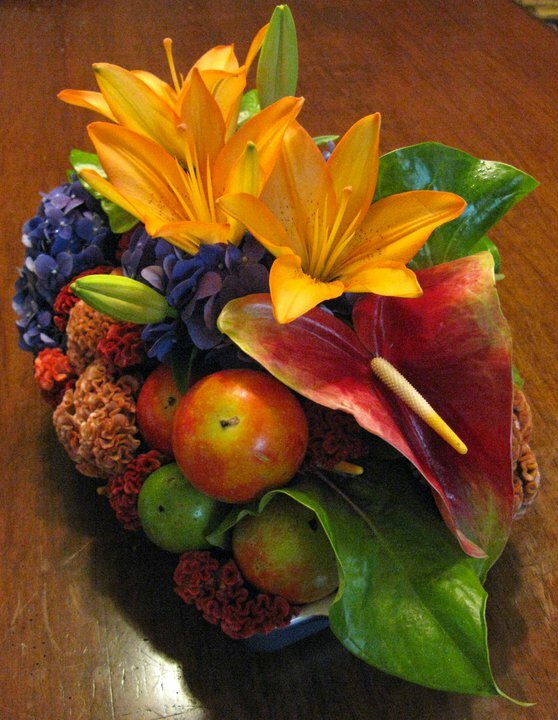 A beautiful flower arrangement can be made to fit any kind of budget. Get ready to bloom!